Mr. Cutler graduated from J. Reuben Clark Law School in 1989. He also received an accounting degree and a minor in business fundamentals Brigham Young University in 1986. Following law school Mr. Cutler worked as a federal law clerk for the Honorable Robert G. Mooreman, Chief Bankruptcy Judge for the District of Arizona. In 1991, Mr. Cutler joined the Bonneville County Prosecuting Attorney’s Office. As a deputy prosecutor, he handled both misdemeanor and felony prosecution and tried numerous jury trials. Mr. Cutler spent a significant time prosecuting both misdemeanor and felony DUI cases. In 1995 Mr. Cutler joined the law firm of Cooper Wetzel Avery & Lee . While at CWAL his practice focused on DUI & Criminal Defense, Bankruptcy, Adoptions, and Family Law. In 2003, Mr. Cutler opened the CUTLER LAW OFFICE P.A., where he will continue to offer varied legal services with an emphasis on DUI & Criminal Defense, Adoptions, and Family Law. Mr. Cutler has had jury trials in both State and Federal Courts. Mr. Cutler has the needed experience and is committed to serving his clients. Mr. Cutler is a member of the National College of DUI Defense, The National Association of Criminal Defense Lawyers, and the Idaho Associations of Criminal Defense Lawyers. Mr. Cutler continues to keep current through both Federal and State Criminal Law Seminars. 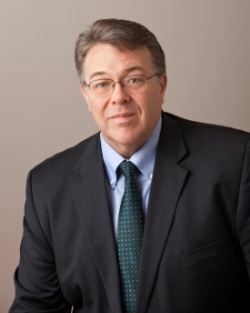 In addition Mr. Cutler has completed the National Highway Traffic Safety Administration (NHTSA) and the International Association of Chiefs of Police (IACP) DWI Detection Standardized Field Sobriety Student and Instructor's Courses and is a qualified practitioner of the Standardized Field Sobriety Tests. Mr. Cutler was born and raised in Long Beach California. He enjoys hiking, backpacking and camping with his family. He served on the Board of Directors of Scenic Falls Federal Credit Union from 1999 - 2008.